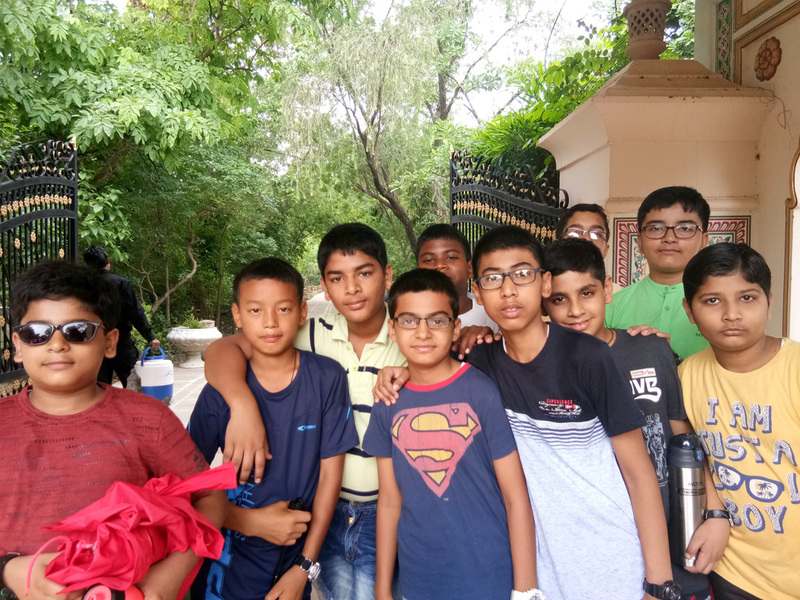 The junior house boys went for a revitalizing trip to the historically strategic town, Fatehpur Sikri in UP followed by an inevitable visit to Bharatpur Bird Sanctuary in Rajasthan and the eventful outing culminated at Crocodile Breeding Centre near Chambal River in MP. This educational tour from 13th to 14th July 2017 delighted everyone. The boys came to know that Fatehpur Sikri is situated in the upper portion of the Vindhya mountain ranges. Babar, the founder of the Mughal Dynasty and Akbar's grandfather, had won a battle here over Rana Sanga of Mewar. In gratitude he named the area Shukri, which means "thanks". The city was known as Sikrigrah and built by Maharaja Sangram Singh who was the last emperor of Rajput regime. It is regarded as one of the most important buildings amongst a list of World Heritage Structures, which has been brought forward by the UNESCO. The boys were awe struck as they saw the complex, which was made up mostly of sandstone. The palatial complex consisted of several pavilions which were arranged geometrically as per the tent formations in Arabic nations. Next the boys got up early in the morning to visit Bharatpur Bird Sanctuary. During the breeding season the most spectacular heronry in the region is formed by 15 species of herons, ibis, cormorants, spoonbills and storks, where in a well-flooded year over 20,000 birds nest. It was a pleasure to see cranes, swan, herons etc. The boys were accompanied by expert guides who briefed them about the topography of the place along with important inputs pertaining to birds and animals that frequent the place. While returning the last stop was at crocodile breeding center near Chambal River. The boys showed keen interest and asked pertinent questions as they went around looking at the alligators and crocodiles. The hands-on experience held them spellbound. The adventurous two day outing was thoroughly enjoyed by the boys and the interactive sessions were enjoyed to the hilt by one and all.